Little fashionistas will love touching different textures and discovering what's inside this collection of fabulous pint-sized purses. The little girl who won't leave home without a headband--who's had fashion sense since she donned her first onesie--will love touching and turning the pages of MY FAVORITE PURSE. From a fuzzy bunny backpack to a sparkly wristlet to a crocodile tote, every purse features an inter-active element to engage growing minds. 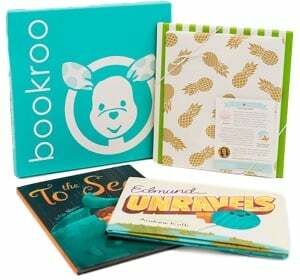 Cool textures, flaps, and rhyming text will entertain accessories fans of all ages. This is the perfect companion to MY FAVORITE SHOES! Kiki wants to start a book club, but Pearl tries to steal the spotlight with a rival fashion club in this sparkling Mermaid Tales adventure. Kiki misses her brother, Yuta, who lives on the other side of the ocean. To help keep in touch, the two of them start a book club, and Kiki decides it would be fun to expand the club for all of Trident Academy. But Pearl doesn’t want anything to do with a boring book club. Instead, she decides she’s going to make the best club ever: a fashion club! Pearl will do anything to make sure the other students join her club instead of Kiki’s, and offers free food, candy, and even prizes to draw them in. But will it be enough? Who will win the battle of the clubs? In this third book of the Craftily Ever After chapter book series, Maddie, Emily, Bella, and Sam accidentally tie-dye a shirt Maddie’s mother made for the mayor! Emily Adams, Maddie Wilson, Bella Diaz, and Sam Sharma are eight-year-olds with one special thing in common: they love to create. They each have unique talents, too! Emily is great at constructing and building; Maddie has an eye for fashion, fabrics, and sewing; Bella is a gadget whiz; and Sam is a gifted artist. Together, these four crafty friends dream up new projects to design, build, and create and through their experiences, they’ll learn how to handle various obstacles at school and in their everyday eight-year-old lives. Maddie gets her knack for fashion and sewing from her mom, a seamstress. And she’s made a lot for an eight-year-old—from theater costumes, to brand-new pairs of pants, to pillows for the Craft Clubhouse. But she’s never tie-dyed before! Maddie, Emily, Bella, and Sam have lots of fun turning clothing bright, groovy colors. But then something not so bright and groovy happens. The kids accidentally tie-dye a shirt Maddie’s mother made for the mayor of the town! They try all sorts of things to fix their mistake, but nothing works. What is the foursome going to do about their tie-dye disaster? With easy-to-read language and illustrations on almost every page, the Craftily Ever After chapter books are perfect for emerging readers. Perfect for fans of Meg Cabot or Sarah Mlynowski, this second book in a fun series shows that kindness never goes out of style! "Imagine what a better world we'd live in if Kindness Clubs spring up at every school. This series is inspiring!" --Wendy Mass, New York Times bestselling author of The Candymakers Creative and fashion-forward Lucy Tanaka was thrilled when Chloe Silver moved to town. Together with Theo Barnes, they formed The Kindness Club, testing different acts of kindness on their friends, neighbors, and siblings. One day, Lucy learns that their classmate, Serena, recently lost her mother. On top of that, it's Serena's birthday next weekend. Lucy is determined to lift Serena's spirits, and she knows the perfect way to do it--rallying the Kindness Club to throw Serena the best birthday party ever at her family's bowling alley. But as unexpected complications arise that threaten to ruin the party, can Lucy find another way to help her new friend during this hard time? Inspired by kindness projects and anti-bullying campaigns across the country, award-winning author Courtney Sheinmel's delightful series will have all readers thinking kind!